These eight universities are among the oldest and most prestigious of all higher education institutions in the United States (if not the world). But what exactly is the “Ivy League” all about, and what makes these schools so special? The “Ivy League” collegiate athletic conference (NCAA Division I) was actually officially established in 1954. It comprises these eight powerhouse universities, all located in the northeastern United States. However, the term “Ivy League” dates back farther than that, though its exact origins are still debated. Over the years the “Ivy League” came to describe these schools beyond their athletic conference, and today it speaks to the schools' reputations of academic excellence, highly selective admission process, and enviable career opportunities for students. And those impressive reputations are well founded. These institutions are home to some of the most cutting-edge facilities in the world, their faculty members are leaders in their fields, and their alumni are highly accomplished as well. You might also be surprised to learn that Ivy League schools provide some of the most generous financial packages out there. In fact, every single one of these schools meets 100% of admitted students’ demonstrated need (and they all practice “need-blind” admission). This generally means that if you are accepted to one of these schools, you can afford to go, making an Ivy League education surprisingly accessible—even for students coming from the poorest families. Finally, the impact of attending an Ivy League school lasts long after graduation. Because of the substantial social and political clout associated with attending these schools, students may find that having an Ivy League university on their résumé opens doors to impressive jobs, internships, research positions, and more. 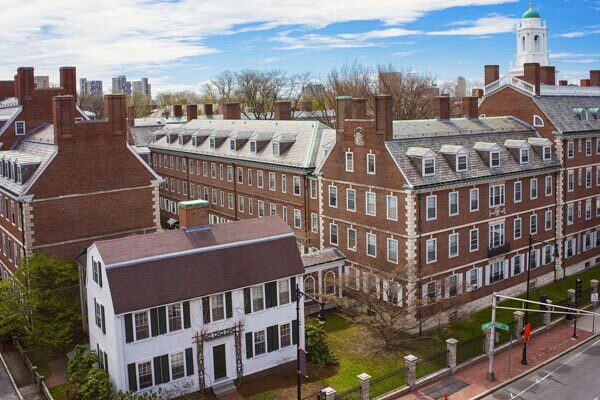 Even though the Ivy League comprises incredible institutions that afford many special opportunities and privileges, it’s important to note that they are not the definitive list of the “best” colleges. Other institutions offer similar—even superior—facilities, professors, opportunities, and more. Private schools such as Stanford University, University of Chicago, and Massachusetts Institute of Technology (to name just a few) frequently go toe-to-toe with the Ivy League on “best college” lists. In terms of mind-bogglingly low acceptance rates, schools like Alice Lloyd College, the Juilliard School, and the Curtis Institute of Music have most Ivy League universities beat. And a whole list of comparable state schools—aka the “Public Ivies”—has sprung up in recent years, with institutions like University of Michigan—Ann Arbor; University of California, Berkeley; and University of Virginia giving the “old” Ivies a run for their money. It’s important to note too that a college’s prestige can also have little to no bearing on students’ future outcomes, from their career opportunities to overall happiness. Great leaders, thinkers, artists, activists, and athletes come from all walks of life—and all kinds of colleges and universities. Your college doesn’t make you successful; only you can do that. Related: Find colleges that fit you here. So there you have the Ivy League in a nutshell, plus a few caveats. Below you’ll find a bit more information about each of these eight schools. Brown does not offer core requirement classes; rather, students are responsible for designing their own programs of study. Brown was the first Ivy League school to accept students from all religious affiliations. The University's engineering program is the oldest out of all of the Ivy League schools. Dartmouth has a number of annual campus traditions, including the Polar Bear Swim, when students jump into Occom Pond during the annual Winter Carnival. The movie Animal House was written by a Dartmouth alumnus based on his experiences in one of the College's frat houses. The English department serves tea and cookies in the Sanborn Library every weekday at 4:00 pm. Notable alumni include actress/writer Mindy Kaling, actress/comedian Aisha Tyler, Academy Award–winning actress Meryl Streep, TV writer/producer Shonda Rimes (creator of Grey's Anatomy), and Theodore Geisel, better known as Dr. Seuss. Learn more about Dartmouth here. Scenes for the original Ghostbusters were filmed in Columbia's library. Columbia's renowned journalism school was started in 1912 at the bequest of newspaper publisher Joseph Pulitzer. Some famous alumni include actors James Franco, Julia Stiles, and Jake Gyllenhaal, as well as Barack Obama and Chelsea Clinton. Learn more about Columbia here. Cornell was the first university in the United States to offer a major in American Studies and the first in the world to award a degree in journalism. Cornell is the largest Ivy League school when it comes to the student body, with over 20,000 undergraduate and graduate students enrolled. Dragon Day is an annual campus tradition celebrated in March. First-year architecture students build a giant dragon, which is shown off across campus…then set on fire. Alumni include TV host/comedian Bill Maher, actress Jane Lynch from Glee, Keith Olbermann, and scientist and TV personality Bill Nye (“The Science Guy”). Learn more about Cornell here. Depending on what you’re counting, at least 27 and up to 134 Nobel Prize Laureates are somehow affiliated with Harvard (as of February 2017). Harvard has a fierce sports rivalry with Yale. Graduates' starting salaries average at least $60,000. American minorities make up more than 43% of the student body. A number of movies were filmed on Princeton's campus, including A Beautiful Mind, Transformers, Admission, and IQ. F. Scott Fitzgerald, who wrote The Great Gatsby, attended Princeton, and his college years inspired much of his work. Learn more about Princeton here. UPenn was founded by Benjamin Franklin. The Wharton School at Penn is the nation's first collegiate business school. Former Vice President Joe Biden will lead the Penn Biden Center for Diplomacy and Global Engagement, a teaching and research facility focused primarily on diplomacy, foreign policy, and national security. Learn more about the University of Pennsylvania here. Yale is the third-oldest university in the United States. More than half of Yale students attended a public high school. Yale boasts a nearly unheard of 99% freshman-to-sophomore retention rate, meaning almost all of the students who attend Yale for their freshman year return for sophomore year. Learn more about Yale here. So, what do you think makes the Ivy League so special or, dare we say, not so special? Do you attend one of these schools—or do you want to? Leave a comment and let us know.